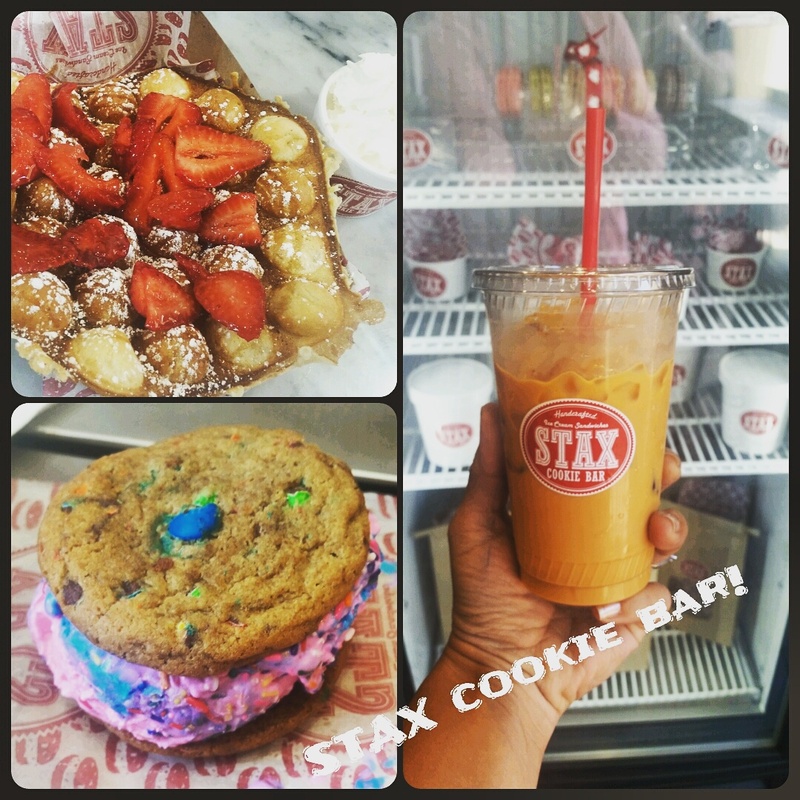 You too will get #staxaddicted @staxcookiebar ! A few weeks ago I had the privilege to attend a tasting at Stax Cookie Bar. To say it was good would be such an understatement. I'd go along with amazingly yummy. From the gluten free, to the variety of cookies and then some, everything from the cookies to the ice cream is made fresh with the best quality ingredients. I could not get enough of the ice cream sandwich and then I tried the Salted Caramel Iced Coffee! What?! Wow, I'd love to take a pitcher of that home weekly. I ended up quenching with a Thai tea and it too was super tasty and refreshing. 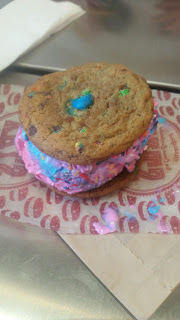 There are so ma n y flavors if both cookie and ice cream it's hard to choose what to combine and top off with. I love that the baker was there. (they are almost 24hr but thats for the early baking) He was awesome. So dedicated to making the freshest tastes he can. This location makes over 20k cookies a week! That is insanity and I can totally see how that would happen. These are so tasty. Did you know that they also cater and do parties!? I did not but now that I do I am super excited. That would be super cool to have an ice cream sandwich cookie bar and each one is under $3.00! For the quality, fresh taste, best ingredients and hand made daily I would say that's one super sweet deal. Get all the info on their catering and more here. 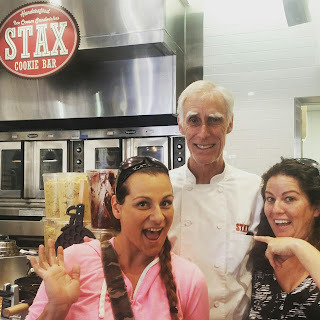 I am a huge supported of anyone who gives back... this year Stax will be doing a very cool fundraiser that is very profitable to those working with it. 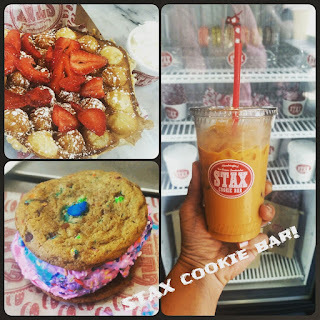 Stax will be offering a gift card that will be worth $35 and offered to sell at $10. That's a huge profit for fundraising! But WAIT, there is more... Stax will sell it to School, Fraternities, or other groups like girl scouts etc for just $2!!!! That is AWESOME! To get you through the back to school blues, we partnered up with Stax to bring my readers a giveaway! Have a sweet end of summer and stay cool! Huge shout out to my lovely friend Melodi for the invite, she runs an awesome site and blog over at Family Review Guide - check her out!